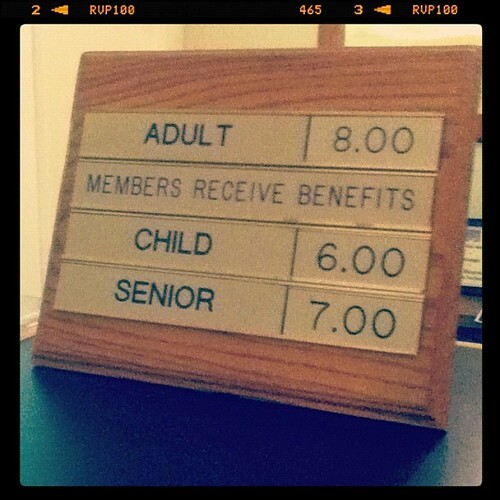 Movie theaters aren't plentiful around here in the Dartmouth bubble. Nor are they even close to the gargantuan multi-plex theaters that have become the modern way to watch movies on the big screen. In Hanover, there's one adoringly called The Nugget. What I love most about it is the old "since 1916" marquee out front and the gelato shop next door. Other than that, the theater experience is so-so. For a college theater, it's surprisingly small. Boy and I saw the final Harry Potter film over there and the second installment of Sherlock Holmes. Over in Lebanon, there's another one: small, cramped, and ever the slightest incline for a viewing audience. I sat in a row of tightly-spaced seats with some friends to watch The Hunger Games. So, last month, it was time for another date night. Boy was just itching to see The Avengers and was consistently relentless in asking when we were going to see it. We drove about 25 minutes to try out the Woodstock Town Hall Theater--supposedly the best movie theater experience in the valley. First, I adore Woodstock. It's charming in every way. 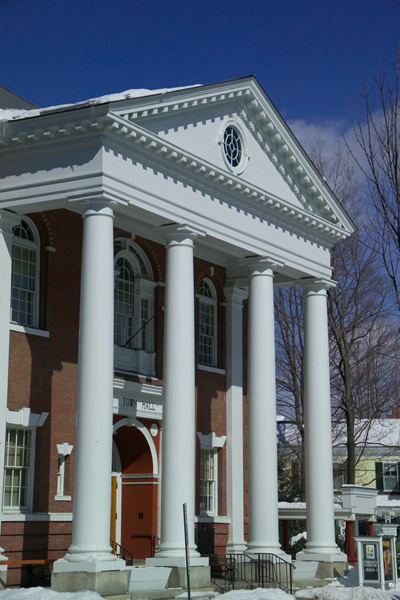 The theater is inside of a gorgeous white building right off the town green. 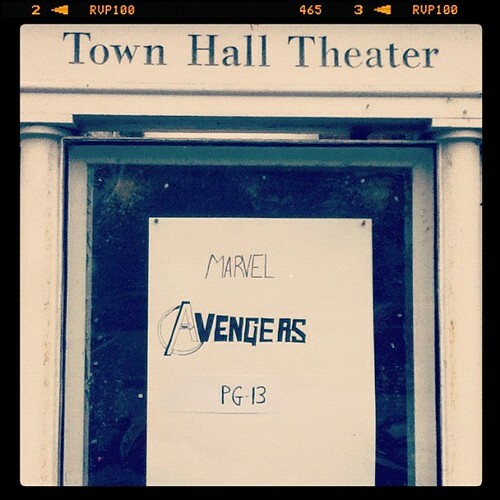 Its marquee sits at the base of the stairs with a hand-written movie title--the fact that somebody took time with a black sharpie to etch out The Avengers makes the movie experience that much more epic. Inside, there's a man at the ticket booth who collects your cash and presents you with your green ticket stub. 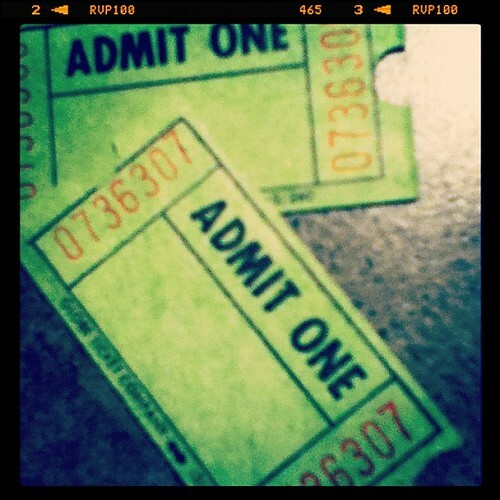 The raffle ticket type--so cute. What's a movie without a bowl of freshly popped popcorn? Exactly. 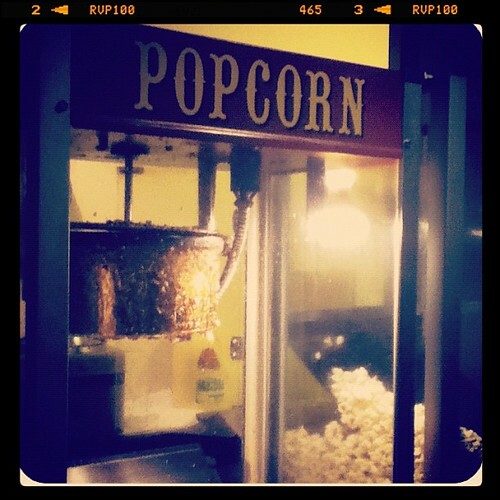 We hit the jackpot when it comes to movie theater popcorn. They serve theirs with maple syrup drizzled all over it. Oh. My. Word. 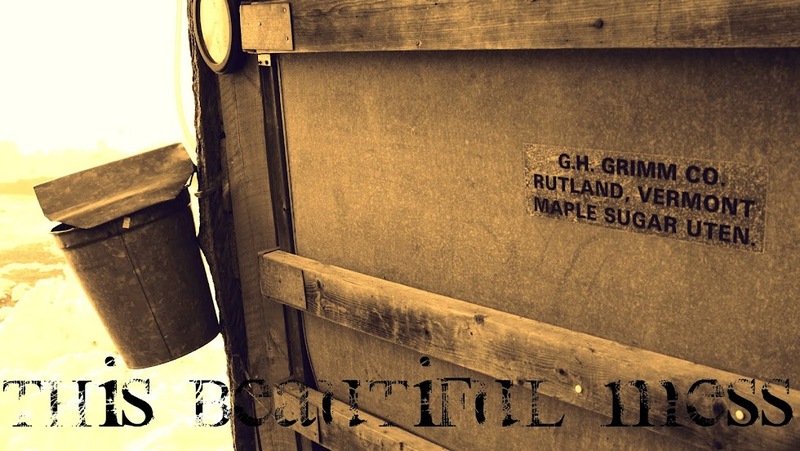 For the maple haters, don't you dare diss it. I tell ya, this popcorn experience is the whole kit and caboodle. I still miss stadium seating and the extra space to straighten out my legs, but in the meantime, timeless old-time theaters are more than okay with me.